health benefits. Among this multi-tasking amino acid’s duties includes serving as an energy source for the brain, supporting cellular growth and repair, improving digestion and overall gut health, boosting immune function, and improving mental alertness. Researchers also believe glutamine has anti-inflammatory effects. Glutamine has an impressive resume, from improving leaky gut to reducing sugar cravings. Let’s focus here on muscle growth. Strenuous exercise and exertion dramatically increase the body’s need for glutamine. One study found athletes who engaged in intensive anaerobic exercise – such as a single short-distance sprint – showed a 45% drop in plasma glutamine compared to pre-exercise levels. Glutamine helps build and maintain muscle, but it also reduces the rate of muscle breakdown relative to muscle growth. In other words, it helps with building and repair. Getting sufficient glycogen (the storage form of glucose) into muscle cells becomes essential for “back up fuel.” Glutamine helps replenish glycogen post-workout, and during strenuous exercise, this amino acid can convert to glucose when your body demands energy. Glutamine also boosts immunity, fueling white blood cells that help the body defend against infection. That’s good news considering studies show athletes with low glutamine levels become more susceptible to illness and infections and allergies. If you want to maintain a demanding workout schedule without becoming derailed with the flu or a nasty cold, supplementing with glutamine may help reduce the risk of getting sick. Finally, let’s talk growth hormone, which my friend Dr. Jade Teta calls the fountain-of-youth hormone. Among its benefits, growth hormone helps you build muscle and keeps you lean. Research suggests growth hormone levels begin to fall after age 30, which can contribute to weight gain, reduced energy, and muscle loss—all of which can interfere with athletic training. 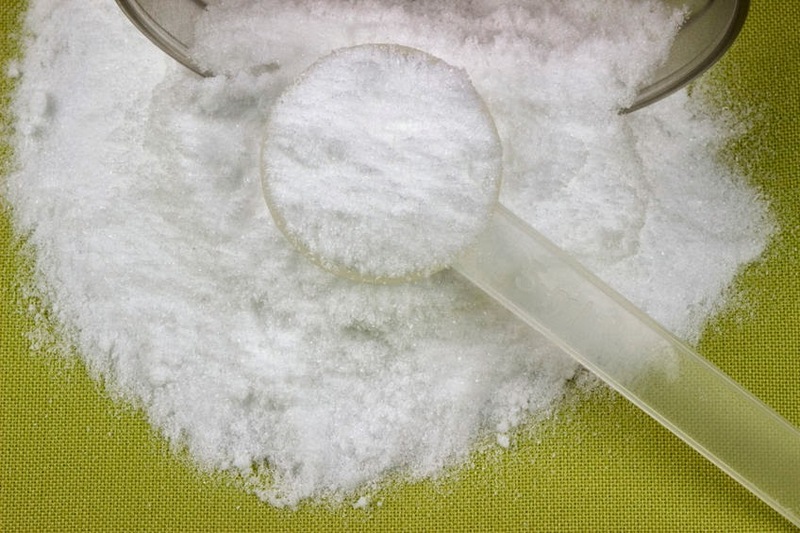 Studies show glutamine supplementation can help boost growth hormone. So you get why this amino acids becomes so valuable. Do you need glutamine as an athlete or heavy lifter? Nope. Glutamine is a non-essential amino acid, meaning we can produce it from other amino acids, and therefore we don't need to get it from dietary sources. However, considering its increased demand due to things like exercise, illness, and stress, your body probably isn’t creating enough. Chronic stress (and let’s face it, who isn’t these days) increases your need for glutamine. Glutamine is readily available in high-protein foods like beef, fish, and poultry, and dairy products. Unfortunately, cooking easily destroys this amino acid. Even if it didn’t, you probably wouldn’t get therapeutic amounts from food alone. When you truly need to maximize muscle mass without coming up short, glutamine goes on my supplement A-list. Think of it as your muscle-producing-and-preserving safety net. Because this multi-tasker nutrient contributes so much, having a little extra on board increases the likelihood that after your body’s most immediate needs (like cellular repair and muscle damage control) have been met, so you’ll have enough left over for other benefits including healthy digestion, improved immunity, and reduced inflammation. If you subject your muscles to intense exercise on a regular basis, glutamine supplementation may be just the thing you need to keep your muscles happy and healthy. You can find glutamine in capsules or powder. Because you’ll want about a teaspoon (4.5 grams), powder becomes most economical. You can throw glutamine into your protein shake, stir it in water, or via Dr. Jonny Bowden’s suggestion, add it into some heavy whipping cream with a little stevia or xylitol to knock out the worst sugar cravings. Besides glutamine, what one sports nutrition supplement do you always keep on hand? Share yours below or on my Facebook page.